I love panorama photography, though it became much more popular and mainstream the last few years because of easy access to the masses. While last time only special cameras could do panoramic shots, today any mobile phone can do it, most of the times with questionable quality but sometimes with decent results. The greatest achievement for a panoramic image is to be presented as print at the wall, either framed or mounted as dibond print. Another fantastic representation is in book form, usually as coffee-table style books. 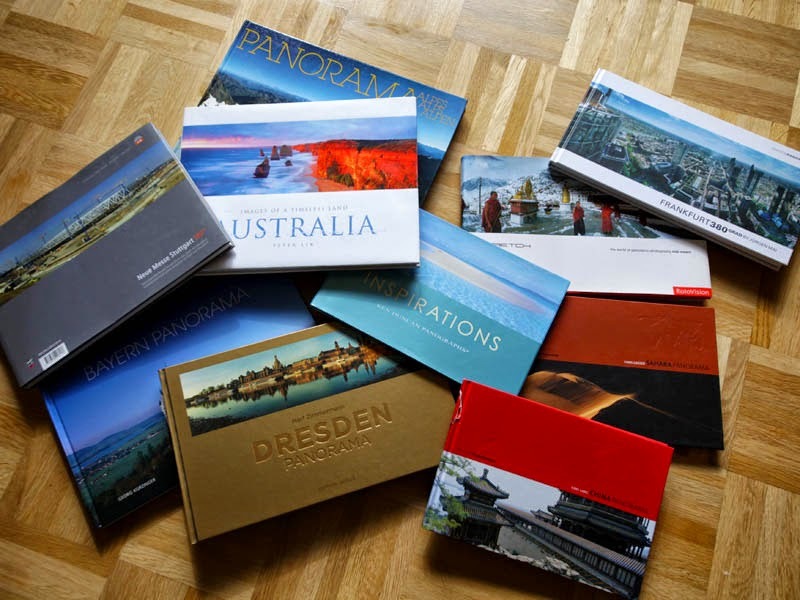 Over the years I collected some 30 or more panoramic books, and recently I started hunting for panoramic books on the various used-books portals where you can get books at a few Euros which originally cost 10 times more when purchased new. Not quite easy task, as sometime the word panorama as keyword alone does not result in books with panoramic images, but without further hints on sometimes years old books it is a bit like lucky draw. I will discuss the book categories and the individual titles in upcoming blogs. So stay tuned.